WestJet inaugurated its new regional airline service today, WestJet Link, from Cranbrook and Prince George to Calgary. Service starts from Lethbridge and Lloydminster to Calgary on June 21 and Medicine Hat to Calgary on June 22. Overall, WestJet Link connects five new cities to WestJet's growing hub at the YYC Calgary International Airport. 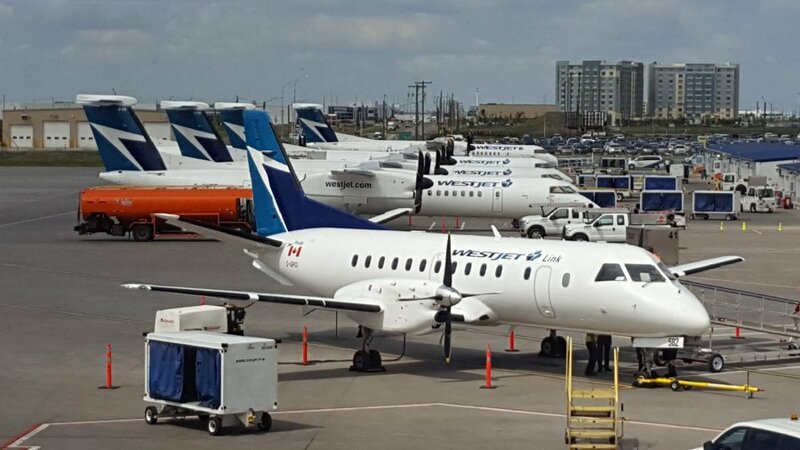 "We'd like to congratulate our partner on their addition of WestJet Link, which will increase connectivity opportunities for their guests out of YYC Calgary International Airport," said Bob Sartor, President and CEO of The Calgary Airport Authority. "These additional routes throughout Western Canada will provide greater air access to those in our smaller regional communities through WestJet's largest hub." Pacific Coastal Airlines is a privately owned, British Columbia-based regional airline operating from Vancouver International Airport's South Terminal (YVR), Pacific Coastal is the third largest airline at YVR in annual takeoffs and landings. It flies to 15 airports and connects to more than 50 destinations in the province, from as far east as Cranbrook in the Rocky Mountains and as far north as Prince George and Masset on the legendary island of Haida Gwaii.